Purple Tuesday highlights £249-billion spending power of disabled customers. 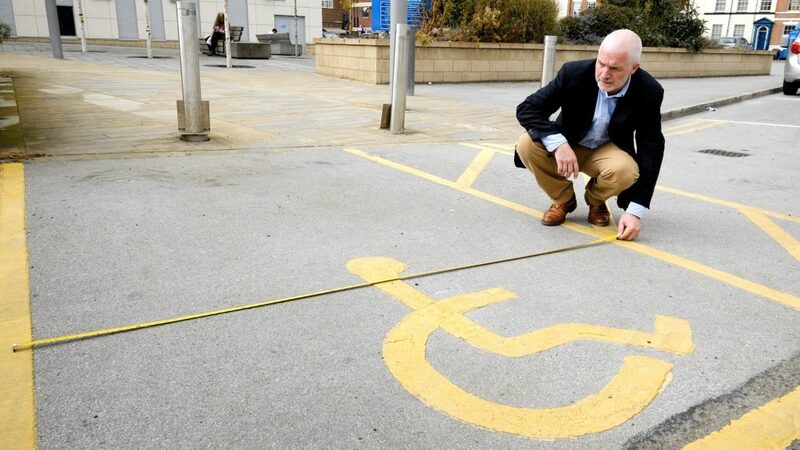 An accessibility expert based in East Yorkshire is urging businesses in the area to back a national initiative next month which will help them boost trade by doing more to help disabled customers. Purple Tuesday – the UK’s first accessible shopping day – will take place across the country on Tuesday 13 November. Endorsed by the government and by some of the biggest brands in the country, the campaign calls on businesses to support and promote Purple Tuesday before and on the day itself, and to take the opportunity to consider how they could do more to welcome disabled people. Ian Streets, Managing Director of Anlaby-based About Access, said a key aim is to raise awareness of the Purple Pound – the collective spending power of disabled people and their companions which is worth £249 billion every year to the UK economy. He said: “Disabled people don’t stay at home and don’t live in isolation. They have cars, they use public transport, go to shops, restaurants, leisure centres, hotels and more and they usually do that with companions, whether that’s an individual carer, a group of friends or a family group. “That multiplies their spending power, and it should send a message that even if a store operator can’t quite grasp the ethical reasons for making their premises and services accessible, they might get there in the end by looking at the clear business benefits. Purple Tuesday has been created and co-ordinated by the disability organisation Purple, which works to bring together disabled people and businesses. The day is backed by major retailers including Argos, Asda, Marks & Spencer and Sainsbury’s. They are also suggesting using Purple Tuesday to launch longer-term projects such as regular “quiet hours”, improving the e-accessibility of websites and apps, providing information on hidden impairments and committing to employing more disabled people. He said: “Our work is all about helping businesses and other organisations make their premises and services more accessible, and more often than not that starts with raising awareness of some of the features that present obstacles to disabled people. Be the first to comment on "Purple Tuesday highlights £249-billion spending power of disabled customers."